Go For Niche Blogging, on like health niche; there are other sub-health niche categories you can zero your blogging activities on and gain authority on that niche within a short period. The more competition you have, the harder it will be for you to make some cash. Instead, try concentrating on smaller markets. Not only it will be easier for you to develop the traffic, but the CPC (Cost per click) should also be higher due to advertisers demand exceeding publishers supply. You need to have a unique selling point. You need to give your readers something that nobody else does. This should really help you get returning visitors. Even if you think you have found the optimum ad setup keep on trying to improve it. In most cases, you can always tweak something to make your ad performance better. 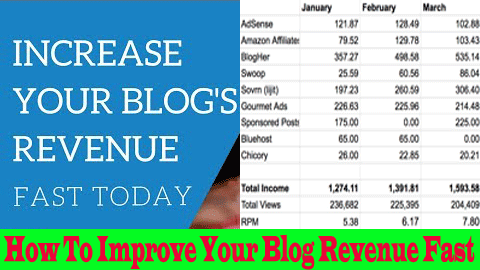 1 responses on "How To Improve Your Blog Revenue Fast"